This Post Is Sponsored By My Brand Partner, Coleman! As Always All Opinions Are My Own! Thank You For Sponsoring CityGirlGoneMom. Anyone who knows me knows that I approach life with a ‘Go Big Or Go Home’ perspective. And when it comes to family, it’s no different. So, it should come as no surprise that when I visit my hometown of NYC during the festive fall season, we’re going big with a family outing to MetLife Stadium to see the New York Giants take on the Washington Redskins. When it comes to football, Bobby and I are both huge fans, but we live in a house divided, with Bobby rooting for the 49’ers and mama is J-E-T-S all the way. However, since we happened to be visiting while the NY Giants were playing, we obviously were thrilled to support the home team, and kicked off the only way we knew how… with a rocking Schaffer tailgate party, sponsored by my brand partner Coleman. After wheeling it to our spot, I took all of three minutes to set up and provided 100 sq. ft. of shade – which is necessary for a family our size. The shelter’s poles were easy to extend into place thanks to the pinch-free Comfort Grip™ technology and large feet that were big enough to stand on while we set up the shelter. And once it’s up the UVGuard™ material offers 50+ UPF protection with a vented roof that releases heat, so it’s also perfect for a day at the beach! 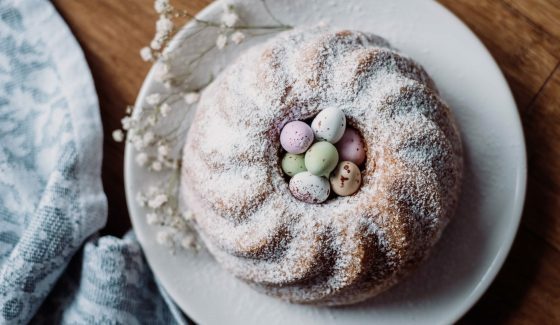 – As much as kids want to run around, they’re going to want a comfy chair for those much-needed breaks and a bite to eat. And for the adults, the attached armrest cooler holds up to four cans at a time… genius! Coleman®55 Quart Rugged 55 A/T Wheeled Cooler– Cooler. Seat. Foot rest. Cup holder. This handy dandy ‘do-it-all’ on-the-go cooler is large enough to hold 84 cans, with plenty of space for other refreshments, and stays cold for up to five days – not that anything would even last that long with our growing kiddos. Coleman Roadtrip 225 Portable Tabletop Propane Grill – Aside from this being the easiest grill to light (Instastart push-button matchless lighting) and clean (with removable water pan to catch grease), it arrived fully assembled. Hallelujah, because who has time for that?! It’s perfectly portable, and so are the 1 lb. propane cylinders (sold separately). When you’re a family of six, tailgating before the game is a must for a couple reasons. First and foremost, it’s an American tradition, and I believe every kid should experience this at least once in their lifetime. The chill in the air, the energy of the fans, the smell of hot dogs and burgers on the grill. Nothing compares! And our Coleman grill was super easy to transport, provided amazing flavors and the nostalgia that only football season family tailgates can bring. Secondly, NFL games are not cheap! Feed the brood before entering, and save yourself some dough by purchasing halftime snacks instead. Plus, they’re also going to want souvenirs – hats, jerseys and the like – so if you can save on lunch, those extras become a little more realistic, and make great keepsakes the kids will always remember. Watching the day unfold through the eyes of my kids made it all the more awesome. Roman, our six-year-old and future star quarterback was stoked to see/experience his first NFL game equipped with the perfect tailgate party. Our two oldest, Jackson and Dylan couldn’t get enough of the burgers and hotdogs. And our three-year-old Boss Baby Brody surprisingly enjoyed sitting with mommy in the oversized quad chairs. In this incredible game we call life, we’re in it to win it, and the more we get to experience together as a family, the more memories we’ll get to share, and perhaps start new traditions for our kids for generations to come. 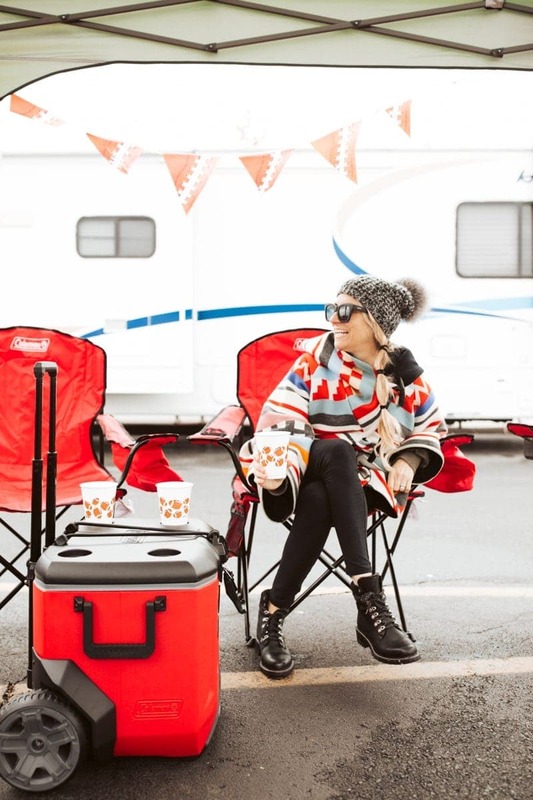 From future tailgates, camping trips, beach days and even backyard barbeques, being equipped with our Coleman gear makes it a no brainer to go out and experience it all. Now that we’ve crossed a NYC NFL experience off our family bucket list, what’s next? 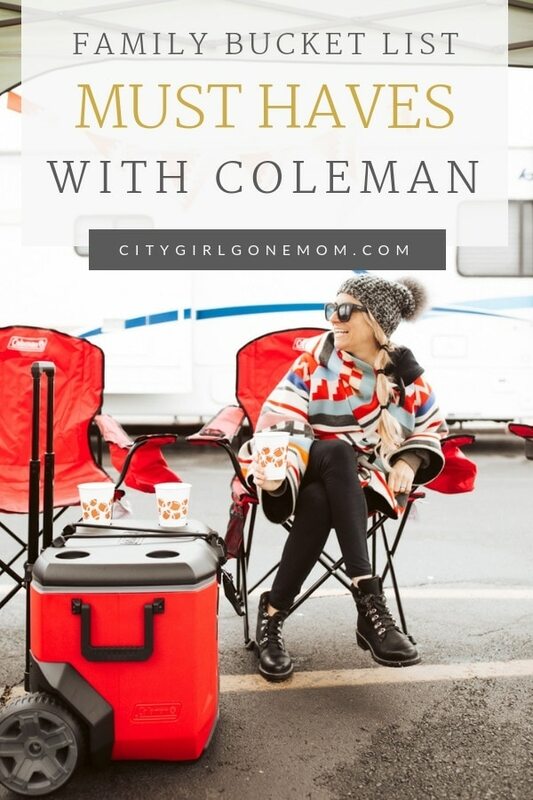 I’m thinking we’ll take this tailgate party with Coleman on the road! Here are a few more from our family bucket list. What’s on yours? Comment below! Felt like I was there at the stadium too!